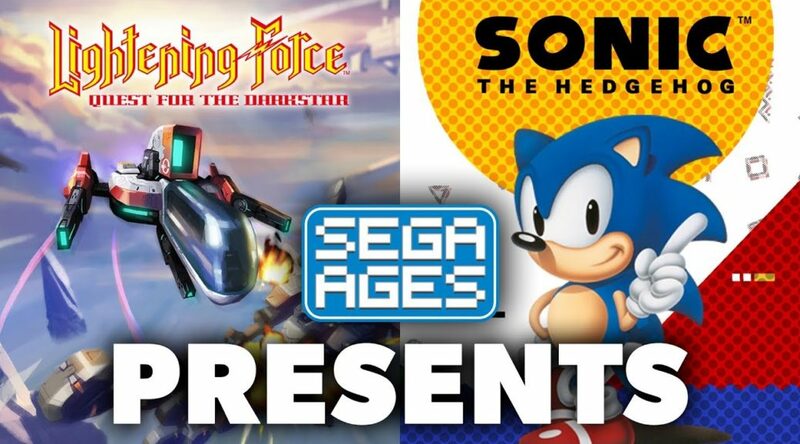 SEGA of America and SEGA of Europe have released the first SEGA AGES titles on the Nintendo Switch eShop today. The first titles are Sonic the Hedgehog and Lightening Force: Quest for the Darkstar, priced at USD7.99 each. Upcoming titles in the pipeline include Sonic the Hedgehog 2, Out Run, Space Harrier, Columns II, Thunder Force AC, and Phantasy Star. SEGA of America announced today that the first two titles of SEGA AGES, Sonic the Hedgehog and Lightening Force: Quest for the Darkstar, are now available digitally on Nintendo Switch™ on the Nintendo eShop for $7.99 each. As part of SEGA’s broader support for retro games, including upcoming releases like SEGA Genesis Classics for Nintendo Switch, coming this winter, SEGA AGES is a series of classic, high-quality ports of beloved SEGA games developed by M2. Blue Blur’s debut title! This is where the chase for those Chaos Emeralds started! The definitive version of the classic that also adds new features like Drop Dash, as well as the console premiere of the legendary Mega Play arcade version! Frenetic action, vertical and horizontal scrolling, rocking music, and a variety of awesome weapons: Lightening Force: Quest for the Darkstar is already ranked among the best shooters of its era. This version even mixes in a new STYX mode that lets you pilot the ship from its predecessor, plus a KIDS mode for newcomers and rankings for the shmup elite! Joining the existing line-up in the coming months, fans of SEGA games and new lovers of retro titles will enjoy classics like Sonic the Hedgehog 2, Out Run, Space Harrier, Columns II, and Thunder Force AC, and of course, Phantasy Star(specific timing coming soon)! Phantasy Star is a groundbreaking sci-fi RPG that follows Alis in her planet-spanning quest to avenge the death of her brother and topple a tyrannical regime. Besides faithfully recreating the original experience, this version adds something for everyone, including a new map display to help novice adventurers and a compendium where longtime fans can view their favorite monsters.